A great answer to noisy routers and switches with a noise reduction of up to 15dB(A). 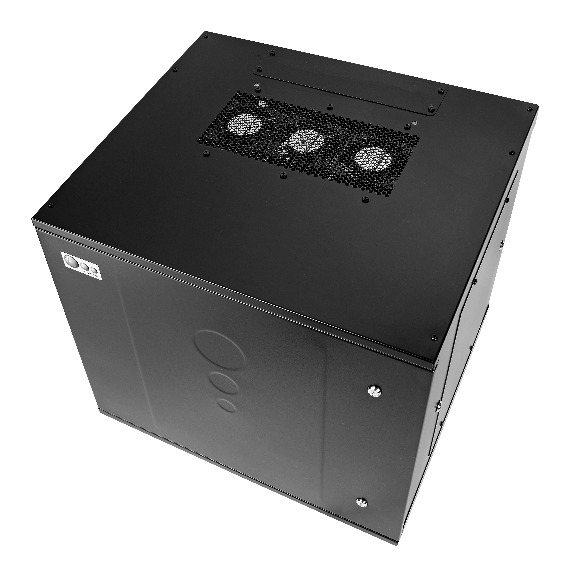 The UCoustic 7250 Acoustic Wall Box has optional top and bottom baffling chambers, and incorporates standard 19″ rack mounting profiles. It also has a thermal capacity of up to 1kW (2 fan version) or up to 1.5kW (3 fan version). This range is available with optional top and bottom baffling chambers.